Olivia McCann in Culture & Arts Editor's Picks Television on 7 December, 2018. There’s no question about it – the reality shows of 2018 have provided us with some particularly scandalous moments. The former Eastender’s actress Roxanne Pallett will find her name forever synonymous with the Celebrity Big Brother ‘punchgate’, when earlier this year she falsely accused housemate Ryan Thomas of having forcefully punched her in the ribs. There was also the return of ‘the Strictly curse’ back in October, as comedian Seann Walsh and professional dancer Katya Jones were caught sharing a passionate kiss in the streets of London after a night out, despite both being in long–term relationships with their partners. And, of course, the most unanticipated headline came in August with the announcement that Ant McPartlin would not be joining his professional partner Declan Donnelly to present this year’s I’m a Celebrity as he recovers from his addiction to prescription drugs, following a drink-drive offence in March. Yet, it is not these tantalising headlines of sin and scandal that, in my opinion, set 2018’s reality T.V. shows apart from those of previous years. For me, the most memorable stars from this year are those who have brought something rather different to reality programmes by pushing their own abilities to the limit and proving that no condition, disability or difference is a barrier to success. 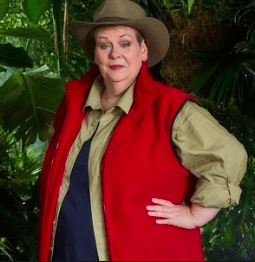 Anne was the fifth star to leave the I’m a Celeb jungle. Image courtesy of ITV. “Sometimes people are mean to me because I am autistic but watching you makes me see that other people can have autism too and maybe I can have a cool job like you when I’m older”. The National Autistic Society has commended Anne for bringing the subject of autism to the public’s attention and suggested that her efforts will have contributed to creating a more accepting society for those also diagnosed. The NAS also added that, despite concerns that Anne was being being targeted and ridiculed by viewers, she is an inspiration for autistic viewers. Katie recently appeared on this year’s series of Strictly. To her fellow contestants, lasting only four weeks may have been a disappointing finish but, for Katie, just to be able to take part in the competition was a major achievement in itself. In 2008, the former model and TV presenter was victim to a devastating acid attack arranged by her ex-boyfriend David Lynch, leaving her permanently scarred and partially blind in one eye. The acid destroyed the skin on her face, neck and nose so severely that Katie has since undergone over forty pioneering operations and procedures to rebuild the layers of her skin. Lying in a hospital bed for almost two months also left Katie critically frail, and she received physiotherapy to help strengthen her limbs. 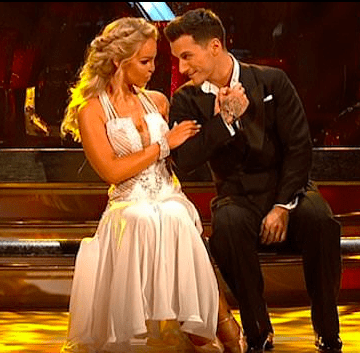 Katie Piper dances a waltz with dance partner Gorka Marquez. Image courtesy of the Daily Mail. Following her recovery, Katie set up the Katie Piper Foundation which aims to help those with burns and permanent scarring through recovery and beyond. The foundation’s aim is ‘to have a world where scars do not limit a person’s function, social inclusion or sense of well being’. By waving her right to anonymity after the attack and taking part in Strictly, Katie has shown truly inspiring commitment to helping other burns victims rebuild their own lives. The foundation is currently in the process of establishing a specialist rehabilitation experience where adult survivors can stay for up to one month to receive support during their recovery. 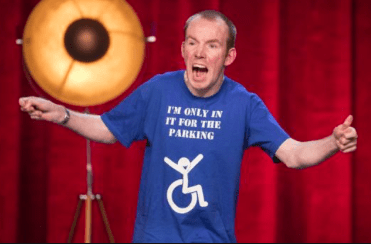 Funnyman Lee Ridley, performing under the stage name of ‘Lost Voice Guy’, earlier this year became the first comedian to win Britain’s Got Talent. Lee, who has cerebral palsy, uses a voice synthesiser for his act. Along with an opportunity to perform at the Royal Variety Performance, the 37-year-old received £250,000 in prize money. When asked how he would spend his winnings, he replied that he would like to treat those who have helped him on the road to success. Lost Voice Guy won the heart of the nation at the Britain’s Got Talent final back in May. Image courtesy of BBC. Even before his big break on BGT, Lee has set out to be a role model for disabled young people. In May 2017, he became patron of Smile for Life Children’s charity with which he has been working for the past three years. 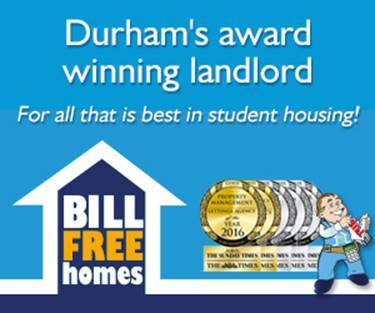 The charity, based in the North East of England, aims to make a positive difference to the lives of disabled and disadvantage young people in the region. As patron, he hopes to demonstrate that disability should not stand in the way of success. Debra Pusey, a supporter of the charity and mother to an autistic son, commented in an opinion article for the Metro Online that Lee’s participation and success in the show has given her hope for her son’s future. She added, ‘Lee’s win sounds out an inspirational message to people with additional needs. It shows them that with hard work they really can achieve their ambitions’. Lee hopes that his openness with his disability will encourage increased acceptance in society of those with disabilities and his success shows that with pure determination, anything is possible. Yes, the true stars of reality T.V. in 2018 are those who have set their hearts on more than their fifteen minutes of fame but rather have endeavoured to achieve a more accepting society. Their stories leave us a positive and truly powerful message to which we should all listen – by embracing what makes us different, there are no limits to what anyone can achieve.